Whether you are in the USA or somewhere else around the world and you are doing business in Toronto, you most likely want a Toronto address for your Canadian mail. Postal Boxes may sound like an easy and secure way to have your business mail delivered, but are they? Let’s talk about the logistics of a P.O. Box first, before we go into the potential loss of business by using one. Unless you are a frequent flyer to Toronto or have someone picking up your Canadian mail as your Canadian representative, if a package or important documents are being sent using another courier such as UPS or FedEx, those packages cannot be delivered to a P.O. Box. Canada Post will hold your mail indefinitely, but is not set up to forward it to you. 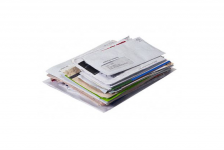 What good is it having a local mailing address if you are not getting your mail on a regular basis? You could hire someone to pick up your mail from your P.O. Box and have them ship it to you, but that would not be very cost-effective. What if you could have your mail delivered to a prestigious business address and have your mail forwarded to you every week at one low cost? Telsec Business Centres offers offers an international mail service from $30 per month. The only thing not included is the cost of the postage or courier fee to get it to you. That’s right – the International Mail Service team will repackage all the mail received on behalf of your business into one envelope and then quickly forward it to your address of choice. Now let’s get into the other reasons you should use an international mail service rather than a P.O. Box. As mentioned above, using a P.O. Box could be costing you business. Consumers and businesses are sometimes very hesitant to deal with a company that uses a P.O. Box. They often question the professionalism of that business. As well, they are looking to find a company that is doing business in Canada that they can reach quickly. Many U.S. and international businesses wishing to be recognizable as having a professional business address, without having to rent an office, will choose to use the international mail service of a virtual office provider. Having your Canadian business address at a prime downtown location such as 1 Yonge Street in Toronto, tells your customers and potential customers that you are indeed professional. Even if your P.O. Box is not actually with a postal service and instead with a mailbox-type retail store, your customer or client can still look up your business address on Google Maps. When they do a search on map programs, will they find a professional-looking business – or will they find a storefront mailbox-type retail store? The other benefit of using a international mail service at an office business centre is that when you are in Toronto and need to meet with a client, you can arrange the use of a meeting room or a day office at the same address you list as your Canadian location. Finally, when the day comes to rent a physical office for your Canadian operations, you can rent office space at the same location without changing your business address on all your promotional materials such as business cards, letterhead and brochures – and your clients will never know that you were not physically there before.